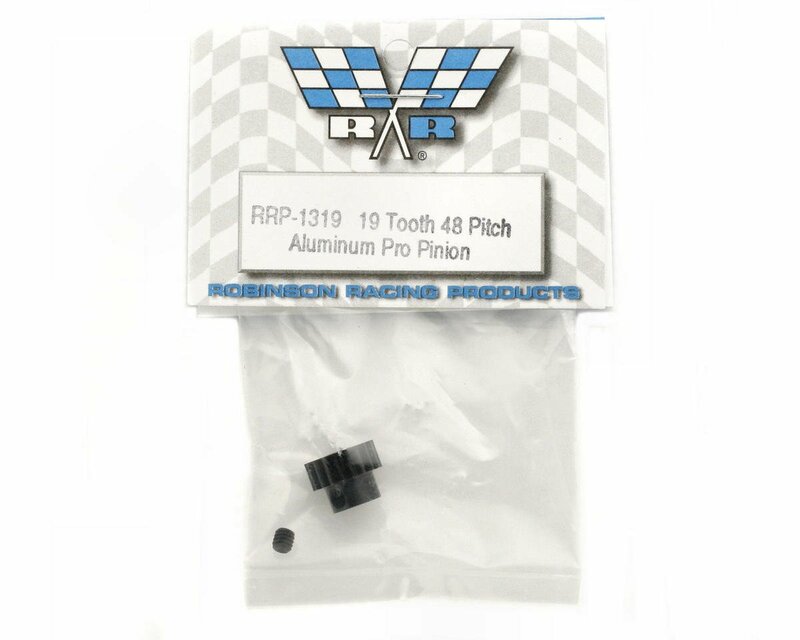 The "Pro" Pinions are precision machined from 7075 grade aluminum and anodized with a super hard jet black finish that not just hardends the surface but also protects the gear from corrosion and increases the lubricity by reducing friction and adhesion between the pinion gear and spur gear. Recommended for onroad, but they can be run off road. A wide selection of tooth sizes are available. Tooth number stamped on each pinion. 1/8 inch (3.17mm) bore. One 5-40 set screw included. This is an edit of my previous review of this item. I must have been suffering from a major brain-lapse when I put it on my AX10 the last time. It fits my stock AX10 87-tooth spur just fine. I went bigger on the tires (Hot Bodies Rover Crawlers with Proline oversized memory foams and 2 oz lead around each wheel...awesome combo) and smaller on the pinion (this 12-tooth) and I'm blown away by the increase in performance for crawling. Don't worry about the fact that it's made from aluminum or is recommended for on-road use only...I've put it through the ringer and it's holding up perfectly. The teeth are cut crisp and precisely. I've found the pinion gear I'm sticking with - this one. -//- This is just a heads-up for anyone thinking of using this on an AX10. I bought one for mine, but the pinion isn't long enough for it to bite on more than half of an Axial spur gear. 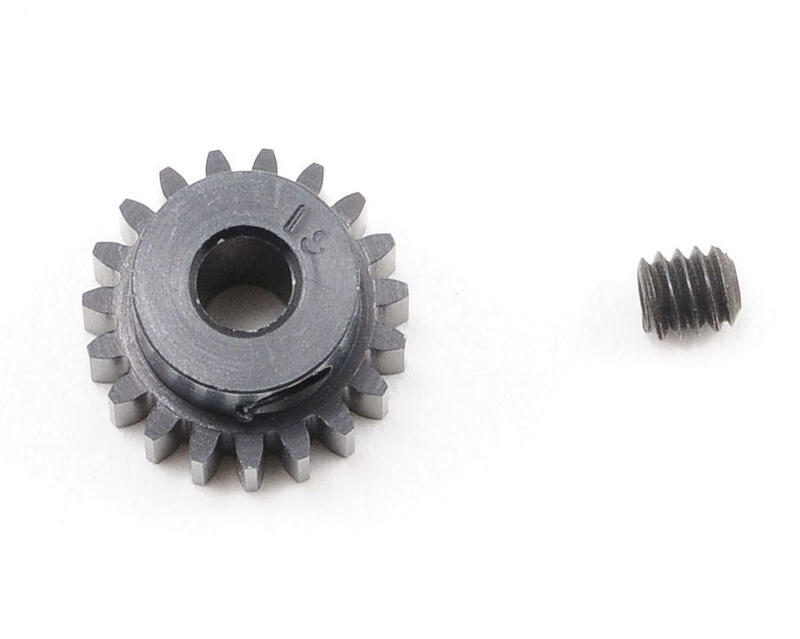 I run the Axial 55T motor, which has a large shaft so the set screw on this pinion will not screw in far enough to be below the depth of the teeth, limiting you to only the portion of the pinion that doesn't have the set screw in it. The pinion itself seems to be of solid quality and I wish I could have used it. Figured I might save someone the expense of finding out it won't work for the Axial 55T motor (AX24007). I have been using these in my 17.5 buggy and in my T5M with a boosted 13.5 motor and they work great and are showing no signs of wear at all. JUNK, JUNK, JUNK. Didn't last one race night, striped three spur gears before I realized the pinion was wore so bad!